The Centre for Maternal and Child Health Research at the School of Health Sciences, City, University of London, welcomes Dr Zoe Darwin from the University of Leeds as part of research seminar series. Mothers face increased vulnerability to mental health problems during the perinatal period (conception to one year after birth); this is also true for fathers with an estimated 5-150% experiencing depression and 5-15% experiencing anxiety. Fathers can be protective against the development of maternal mental health problems and their effects on child outcomes yet there is little evidence concerning fathers’ experiences of their own perinatal mental health. This seminar presents the findings of a qualitative study that examined the views and experiences of first-time and subsequent fathers reporting symptoms across the continuum of psychological distress. In-depth interviews were conducted at 5-10 months postpartum with 19 men (including five accompanied by their partner) who were purposively sampled from an epidemiological prospective cohort. Data were analysed using Framework Analysis. Four themes were identified: ‘legitimacy of paternal stress and entitlement to health professionals’ support’, ‘protecting the partnership’, ‘navigating fatherhood’, and, ‘diversity of men’s support networks’. Men largely described their ‘stress’ with reference to behavioural and physical signs. Many felt excluded by maternity services but felt resources ‘should’ be focused on mothers. Men described their role as supporting their partner and protecting their partnership, which they found vital in navigating the demands of early parenting. Promoting paternal mental health may benefit the family as a whole but men may be reluctant to express their needs amid concerns that to do so would detract from their partner's needs. Further research is needed to inform how best to assess and manage both parents’ mental health. Further discussion is needed on how to balance woman-focused and partner-inclusive care, its implications for the midwife-woman partnership, and midwifery training needs. Zoe is a Lecturer in Maternal Health at the University of Leeds. She is part of the Midwifery Education Team for the BSc (Hons) Midwifery programme, where she teaches on psychological aspects relating to reproduction and leads the dissertation module. Her main research interests include perinatal mental health, support in the perinatal period, and involving partners. She supervises doctoral students whose research includes communication between midwives and fathers in birth, posttraumatic growth following traumatic birth, and weight management in pregnancy. 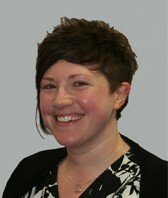 Zoe has a background in Psychology and is a committee member of the Society for Reproductive and Infant Psychology. A light lunch with refreshments will be provided from 12.45pm with the seminar starting at 1pm.